Advanced 21st Century Integrative Family Life Care®. We share the relevant. Promoting Faith & Evidence Based Healthcare since 1996. "World Organization of Humanitarian Medics"
OFFICIAL FEDERAL USPTO REGISTRATION-REG. NO. 4,0093,251 Authorization To regulate the Profession of "Integrative & Pastoral Medicine" Click here Federal UCC Registration No. 0602011-01214 Click Here. United Nations Civil Society, Economic Development & Social Affairs Registered Affiliate. Where Faith & Science are Integrated to work Hand in Hand!! 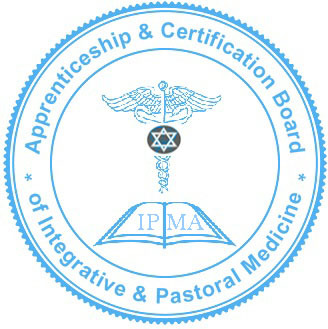 The mission of the American Association of Integrative & Pastoral Medicine© (also known as The Integrative Pastoral Medical Association) & The National Commision-Apprenticeship & Certification Board of Integrative & Pastoral Medicine® is to protect the public by certifying and regulating practitioners of Integrative, Pastoral & global humanitarian based healthcare services. The board will promote pastoral based healthcare excellence and will foster communication within the profession and with the public. The National Commission-Apprenticeship & Certification Board, established in 1996 via charter & ecclesiastical legislature & subsequently registered with the United States Trademark & Patent Organization as a Nationall Class B occupational licensing & certifying authority(Certification Mark/Licensing), is empowered to protect the public by licensing and regulating Integrative & Pastoral Medicine physiciens*, doctors therapists, educators, consultants, humanitarian medics & professional pastoral counselors in the United States & Internationally. A seperate Board Certification process is established to ensure that additional required clinical and practical standards are met in order to uphold the Integrity and value of the Licensure standards. 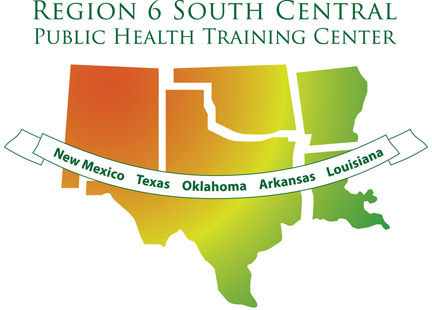 Unlike other phony organizations with similar sounding names who have very low standards in regards to their "religious" certificatios and licensing, in which pretty much anyone with money can obtain without much quality evidence based healthcare education, we have strict rules in regards to the acdemic education and clinical skills training each practitioner has according to national and international standards. We can assure all of our practitioners have met the minimum high standards we have set to become licensed and board certified in Integrative & Pastoral Medicine & Humanitarian Medicine professions/. Our licensure are dual in nature, both eccclesiastical and professional as per the USPTO authorization to issue Certification Marks aka licensure and registrations. To protect the health, safety and welfare of the public in the matters of care provided by Pastoral Medical & Pastoral Healthcare Practitioners in the USA & Internationally. To ensure practitioners have met highly specialized academic, clinical, moral & interpersonal skills & training in order to effectively practice the profession & ministry of "Integrative Pastoral Medicine®"
The mission of the IPMA/NC-ACBIPM is to first give honor & credit to the Eternal Creator, who is the source of all healing, sciences, herbal medicines & intellectual advancment that has existed since the beginning of time & continues to evolve throughout each generation. Our responsibility is to protect the public by improving upon standards of faith based healthcare offered by licensed & registered practitioners through ensuring competency in education, clinical skills, spiritual/moral growth & development and enhancing communication with the pastoral medical profession and the public. We aspire to bridge the gap between faith & science so that we can promote a greater hope & more effective "healing arts" to the nations. To educate practitioners, the public, academic institutions & government authorities and promote a better understanding of Biblical Talmudic Medicine(Jewish Medicine), wihich is the underlying basis for Pastoral Medicine philosophy, and its relevance to modern evidence based medical sciences and its history and connection to Ayurvedic and Chinese Medical Sciences and foundational roots to Western Medical and Naturopathic Medical Sciences. 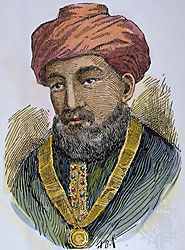 Talmudic Medicine(as Well as Islamic and Greek Medicine) is the missing link to the evolution and development of Western Medicine, just as Judaic Religion and culture is the root and foundation of Western Civilization, a fact that is taught in all academic, religious and govermental institutions. We seek to maintain a board of practitioners with a diversity of talents, skills & callings, in a evidence & faith based capacity, who are able to work & network together in a cooperative environment for the greater good of the global community. Integrating both Allopathic practitioners(i.e. 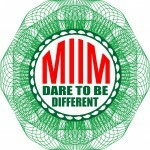 MDs, DO's, Nurses, Physiotherapists & Psychotherapist) & Natural Medicine practitioners(i.e.IMDs, NMDs, DNMs,OMDs, DC's, Midvives, Acupuncturists & Pastoral Counselors/Naturopathic Psycho-therapist) who have chosen to incorporate the Pastoral Medicine sciences into their practices & specialities in order to give the public a more empowered choice of healthcare services that can meet all of their needs, physically, spiritually/culturally and mentally. This includes promoting "interfaith" & "cultural diversity" compentency training & continuing education for all practitioners & encouraging practitioners to work within their own religious affiliations & also to practice with sensitivity with regards to patients cultural & spiritual diversity. It is through this mission that "true Integrative medicine" is established. We are the only Pastoral Medical Licensing Board in the United States that is registered with the Federal Government & has the Legal rights to define & regulate the scope of practice of the profession of "Pastoral Medicine®" through the USPTO to issue Certification Marks & National Class B Occupational Licenses in Integrative & Pastoral Medicine®. No other organization, association or ecclesiastical entity has any Authorization via the IPMA to issue such Licenses in pastoral medicine. All Rights Reserved!! Jubilees 10:7-13, Sirach 38:1-15: Representing Eastern Talmudic Medicine & Mizrahi Jewish Science, Ayurvedic Medicine, Pastoral Psychotherapy & Counseling, Clinical Naturopathic Medicine, Integrative Medicine, Unani & Siddha, Greek Medicine, Islamic Medicine, Oriental Medicine, Afro-Asiatic Indigenous & Ethno-Medicine, Mayan Medicine, Tropical Medicine, Rural, Humanitarian, Emergency & Missionary Medicine, Hebrew Midwifery, Maternity & Natural Child Birth & Primary Care(Integrative Family Life Care®). Professionally Licensing & Certifying Pastoral Medicine® Physicians, Doctors, Therapists, Educators & Consultants. Integrative Pastoral Medicine Logo is ©1996, Israelite Torah Covenant Community. USPTO Registered . All Rights Reserved without prejudice. introduction to other International networks & organizations partnering with AAIPM to advance Pastoral and Holistic Medicine, Rural, Humanitarian & Emergency Healthcare training, discounts, etc etc). We believe in treating our Affiliates and Healthcare professionals as Family. We believe in respect, dignity, integrity, honesty & unity!! Have you noticed & are you concerned about some of the weird folklore therapies(i.e. crystals, energy healing, hypnotherapy, witchery and sorcery practices, online cure for all & multi-level marketing herbal supplements schemes that are not in compliance with cGMP/FDA standards & other un-registered non-clinical over the counter herbal & mineral supplements etc) & un-scientific diagnostic methods(i.e live blood cell analysis, un-registered electro-dermal screening devices or any labs or diagnostics not done under a Federal CLIA registered facility etc) being promoted by other organizations that pose a health risk to the public that is not registered or in compliance with cGMP, HIPAA & FDA standards? Would you like to become an effective healer and have training certification to be eligible to have access to scientific evidence based Wellness Assessment tools that are CLIA, FDA and HIPAA compliant & places you in compliance with proper federal registrations with the Department of health in your state and local city? Would you like to be trained in Evidence based Natural Clinical Medicine with access to FDA & cGMP registered Pharmacies & Dispensaries? Going above & beyond folk medicine remedies? Would you like to no longer have to duck & hide from your Government & have all proper government registrations and feel confident as an effective Natural Healer? Then we have already paved the path for you & this is the Association you want to join & be apart of!! We are the Edenic Kingdom solution to providing Licensure, Board Certifications & training in Pastoral basedl HealthCare & Natural/Naturopathic & Integrative faith & evidenced based Healthcare also known legally as Integrative Pastoral Medicine®!! Through our affiliate organizations and Institutions we also offer solutions to training in Eastern Medicine Sciences with hands on clinical apprenticeship & distant education research under Licensed & Board Certified Healthcare professionals(MDs, OMDs, NDs, NMDs, Licensed Mid-wives[LPM), LMT's, Psy.D(PC) etc) through our registered Yeshiva(College)! **Warning: In order to prevent confusion of the public due to other organizations engaging in copyright and trademark infringement by using a similar name as the Integrative Pastoral Medical Association, including IPMA and PMA, and to ensure the Integrity of our Associations name & reputation is not attached to or associated with the negative publicity and reputation of other organizations, The Board has chosen to change the name of this Association to "The American Association of Integrative & Pastoral Medicine© Always check the background of any organization you plan to join for their Board Certifications and/or Licensing. There are quite a few organizations that use religion as the basis for their practice but do not have high standards of accountability & may actually be foreign entities. Some use fraudulent Soveriegn Citizen Tactics to prey upon & take away their practitioner rights without the practitioners informed consent. Some Organizations with similar sounding names are linked to(or have members who are) false ecclesiastical orders & organizations connected with International Banking Fraud & other Schemes. PLEASE PLEASE beware that you may end up signing your rights away to some false foreign Ecclesiastical Jurisdiction!!. If you are unable to reach an alleged Board Certification or Licensing Authority by phone or they only provide email or a PO BOX as the only contact or if they are not based in the USA but claims to operate in the USA, beware of them, because you will NOT have any legal remedy with a non domestic organization should they abuse your rights or should you have any grievances!! They are most likely frauds(this does not mean that all Int'l non domestic organizations are fraudulent, as we are affiliated with several reputable international certification organizations, just do your homework first). This is the Alternative Medical Association & Institute providing research & Holistic solutions to improving the quality of life of those who suffer from Sickle Cell and Sickle Thal Disease. Also exposing the dangers of Hydroxyurea and its detrimental effects on sickle cell patients. Medical Genocide? you decide for yourself!. Integrative Family Life Care®-The Edenic Kingdom vision & solution to providing dynamic, innovative, cutting edge evidence faith-based Natural Integrative & Primary Healthcare Ministry services to the Jewish Diaspora & International Interfaith Community. Bridging the gap between Science & Natural Medicine Read more. We have a prophetic vision & mandate to equip & train Pastoral Medicine & Naturopathic Physiciens with advance Rural Medicine & Humanitarian Medical knowledge & skills that would not only help them in professional practice, but would also create a team of advanced professionals who can work together in establishing a Major International Kingdom Humanitarian Mission & Research Center which would provide Naturopathic Disaster relief around the World. We would be so effective that we would lead FEMA & other International humanitarian and medical groups & have more success using the Natural Medicines & methods that we currently use!! ©1996- 2011 Ha' Yisrayli Torah Brith Yahad. Integrative Family Life Care® & Integrative Pastoral Medicine®, MyWebPMD®, are registered certification trademarks of Edenic-Light Integrative Family Life Care®, a Division of Ha' Yisrayli Torah Brith Yahad. Information pertaining to our Integrative Pastoral Medicine & Pastoral Counseling Services can be found in our Association Charter. All health news, tips and services are for informational purposes only and is not intended as a substitute for advice from your health care practitioner or other professional, or any information contained on or in any product label or packaging. You should not use the information we provide for diagnosis or treatment of any health problem or for prescription of any medication or other treatment. You should consult with a healthcare professional before following any advice or health information found on the ACBIPM® website, or before starting any diet, exercise or supplementation program, before taking any medication, or if you have or suspect you might have a health problem. We are a Hebrew based Ecclesiastical Jurisdiction that provides Integrative Jewish Pastoral Care education, training and development, focusing on Naturopathic Eastern Medicine, Pastoral Psychotherapy & Wellness for the Spirit-Soul & Body. Licensure & Certifications are Ecclesiastical Licensing and are not to be confused with Government Licensure. All legal complaints and proceedings arising out of usage of this website, licensure and any other services rendereed are handled through the Cushite Hebrew International Mizrahi Netzarim Rabbinical Council. All Applicants and users of this website hereby legally agree and consent to binding arbitration to settle any disputes, Lawsuits or any other matter related to usage of our services. Furthermore Licensee, Patients and/or clients legally understand that Pastoral Medicine is not the practice of conventional medicine as defined by the FDA and AMA and services rendered are deemed Pastoral Care and exempt from state and federal medical licensure. All Licensee are bound by any agreements, decrees & all policies a set forth by the Integrative Pastoral Medical Association aka Apprenticeship & Certification Board of Integrative & Pastoral Medicine® Usage of this site in any form, including but not limited to sending emails, constitute a contractual agreement to the rules, regulations and policy of this site. User agrees to waive all rights, claims or grievances in regards to privacy of any emails sent to us other than that protected by Medical Privacy Laws. We reserve the right to publish any notices, letters, summons, harassments etc for public view at anytime. All rights reserved. If you do not wish to have any private emails sent for public view, then please do not sent them, especially if they are harrassing, defamatory or fraudulent in nature.